Attention Deficit Disorder (ADD) and Attention Deficit Hyperactivity Disorder (ADHD) are two conditions that are worth billions of dollars to the highly profitable pharmaceutical industry. It’s therefore in their financial interest to try and convince you (and your doctor) that your child needs to take powerful amphetamines to control their attention and behavioral problems. The astounding increase in people being put on drugs such as Ritalin, Adderall, Strattera and Dexamphetamine over the last 10 years is not only a real cause for concern… it’s a downright disgrace! The Medical profession really has a lot to answer for on this one. In my opinion, any Doctor that say’s it’s okay for you to give your child drugs to control them is on drugs themselves! And we’re not talking about mild drugs either - we’re talking about potent Schedule II drugs that are in the same category as Cocaine, Opium and Morphine. ADD and ADHD Medication Actually Promote Violent Behavior! In a recent study published by The Institute for Safe Medication Practices (ISMP) they revealed the absolute worst prescription drugs known to cause violent behavior in patients who take them. Two ADD and ADHD drugs were in the top ten! And remember, that’s out of the thousands of prescription drugs on the market! It’s absolutely ludicrous that doctors are even able to prescribe these horrific drugs in the first place… especially to our teenagers and kids. What I would like to know is if you do give your teenager amphetamines, how do you explain to them that it’s okay to take “speed” under a Doctor’s supervision, but it’s not okay to take speed for recreational purposes? That sounds like confusing double dutch to me? ADHD is Not Your Fault... Apparently, it's Now Genetic! "Study is the first to find direct evidence that ADHD is a genetic disorder”. There are a number of things wrong with this latest study. First off is that just about every single disease and health problem in the world today is being blamed on genetics and family history. The trouble is the genetics theory actually proves nothing. Of course, you can always check someone’s family history and find similar behaviors and health problems in other family members… it’s not that hard. For instance, there are plenty of people out there who are supposed to have a particular gene for a disease, but don’t - yet they have the disease! My mother has Iron Storage Disease (Hemochromatosis). She’s been tested for the gene, which supposedly causes the disease, but she doesn’t have it. She has the disease but not the gene! And this happens on a very regular basis with all sorts of diseases and health disorders. Of course, genetics does have a role to play in some human diseases - but not virtually all of them! It's all About Cranking up the Money Making Machine... at Your Expense! Just think about this for a moment? If people are convinced that genetics is the real cause of ADD and ADHD then millions of people will rush off to their doctor to get themselves and their children tested. This is a money making machine in itself, but then the ones who test positive will be “medicated” by pharmaceuticals to control their behavior. And how much would all this be worth to the medical profession and pharmaceutical industry? Trillions and trillions of dollars! And the bonus is we would have a society full of mind and behavior altering drug users! (This is actually already happening with the out-of-control increase in people being put on ADD and ADHD drugs). The answer and the “cure” for ADD and ADHD will not be found in genetics or pharmaceuticals. It will be found in environmental factors and nutritional deficiencies. This sort of talk is what makes the medical establishment and big drug companies extremely hot under the collar, since there’s no money to be made with you using natural supplements or home remedies to treat your ADHD. You, however, stand to benefit a great deal by taking the natural health road. First off, I want to make it clear that none of these remedies for ADD and ADHD are in any way endorsed by the medical establishment or the pharmaceutical industry (no surprises there, of course) but they are incredibly powerful and work exceptionally well. And what experience do I have with ADD and ADHD? Well, when our eldest daughter was eight years old she was diagnosed with Attention Deficit Hyperactivity Disorder by our local pediatrician (back when ADD and ADHD were still relatively “new” disorders). He prescribed her the drug Ritalin and not knowing any better at that time we gave it to her. The transformation was startling, but very unsettling at the same time. From Bubbly to Zombie in 30 Minutes Flat! Our normally “bubbly” and talkative child turned into a sort of “brain dead zombie”… almost instantly! So the first thing we decided to do was get rid of those awful drugs. Then we began to give her certain nutritional supplements (vitamins) and herbs that were recommended by a well respected Naturopath, along with cutting out as much of the refined sugars and artificial additives from her diet as we could. The transformation was equally amazing, but in a good way this time. Her bad behavior toned down significantly yet she was still the “bubbly” little girl we had always known her to be. And best of all, her school grades continued to improve the same as when she was on the Ritalin! So what we were able to learn was it was a combination of the toxic man-made food additives that are in our refined and processed foods, and serious nutritional deficiencies, that were the cause of our child’s ADD/ADHD. Once we corrected these (holistic approach), our lives were finally able to go back to normal! 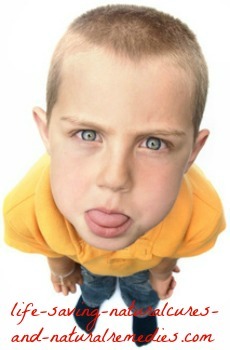 So here's a list of the top 7 causes and treatments for ADD and ADHD. These home remedies are a combination of our own personal experience, as well as the experiences of other ADD sufferers who have managed to beat this disorder. 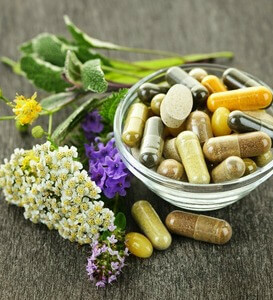 It’s fantastic to see that many Naturopaths are now recommending these natural remedies to their patients (we always suggest that you work in consultation with a natural physician for any health problem). But remember, for these cures to work you have to be willing to put in the effort every day and be disciplined with yourself or your child to follow through. Otherwise, you will just end up wasting a lot of time and throwing good money down the drain! Natural remedies for ADD and ADHD - Why nutritional deficiencies must be fixed first! 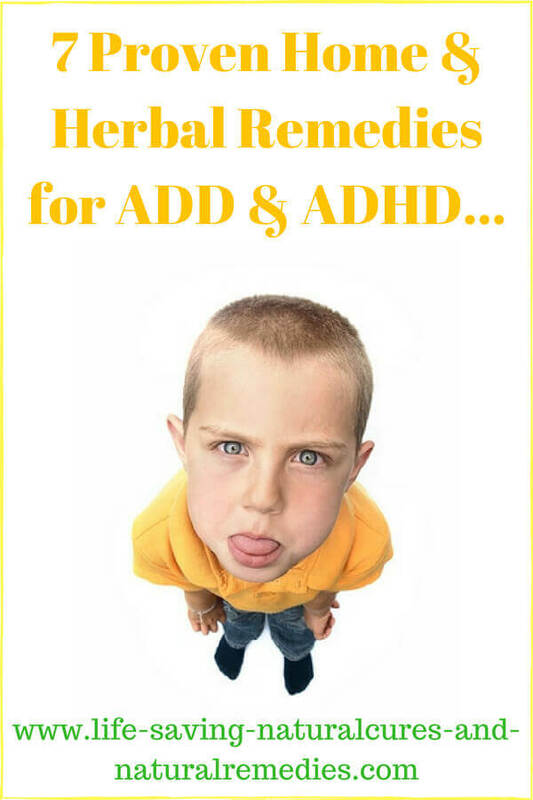 ADD and ADHD Holistic Treatment - Probiotics, apple cider vinegar and herbs are the "bomb" of cures! 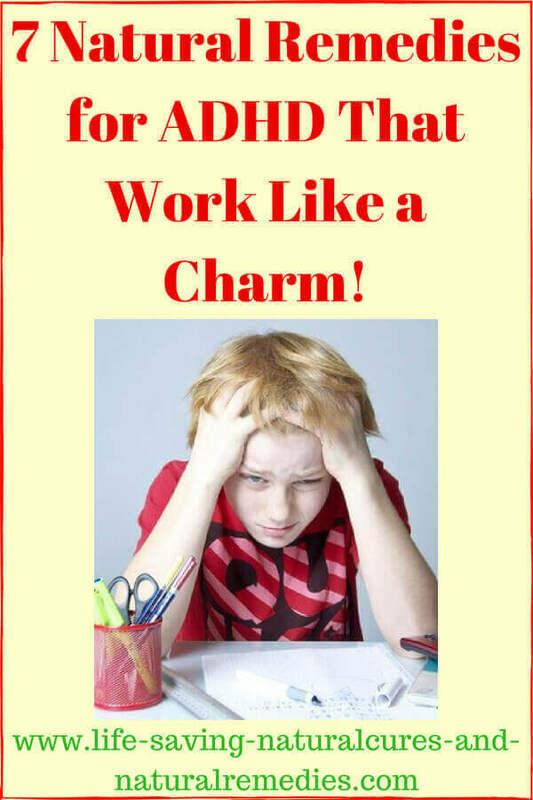 Curing yourself or your child of ADD or ADHD is easy - it really is. But like I said earlier, you have to be willing to put in consistent effort. Will there be times when you just can’t be bothered with it all? You bet. Will there be tantrums and arguments along the way? Of course there will! But when you see your child’s behavior change for the better right before your eyes, or you get slack with your "home remedies for ADHD program" over time (as we did at one point) and then you watch them slip back into their old nasty behaviors again, you quickly realize that it really is all worth it. There are some very good web sites and programs out there to help you and your child further with any ADD problems. One such site is addnaturalremedy, which we recommend (they have a terrific raw recipe section). So don’t just listen to us. Go out and research natural remedies and treatments for ADD and ADHD further. There really is a lot of good information out there!